A girly flounced dress in soft viscose fabric containing some elastane, which feels pleasant to the touch. A relaxed style with a cut-out at the hipline accentuates your legs and makes the overall effect appear very romantic. 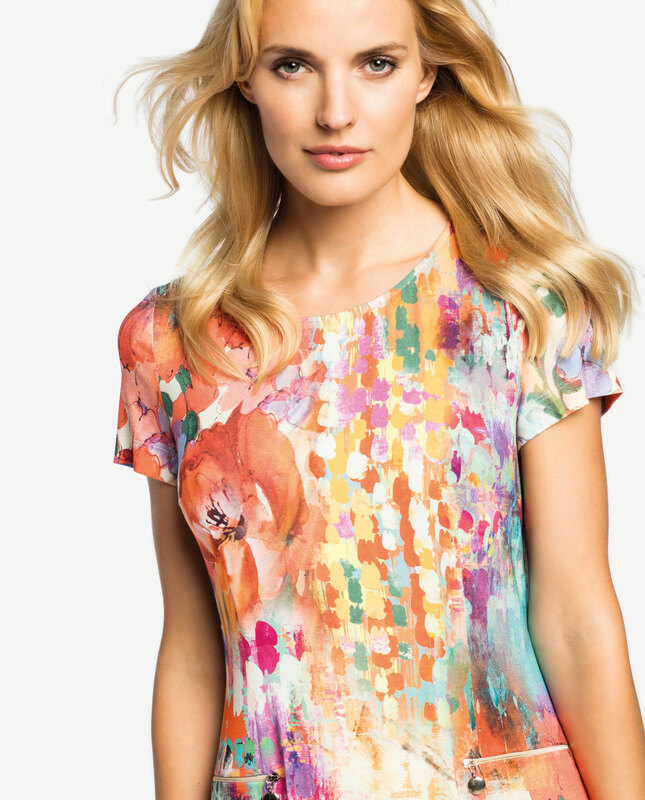 A trendy abstract print in juicy colours matches summer time looks. 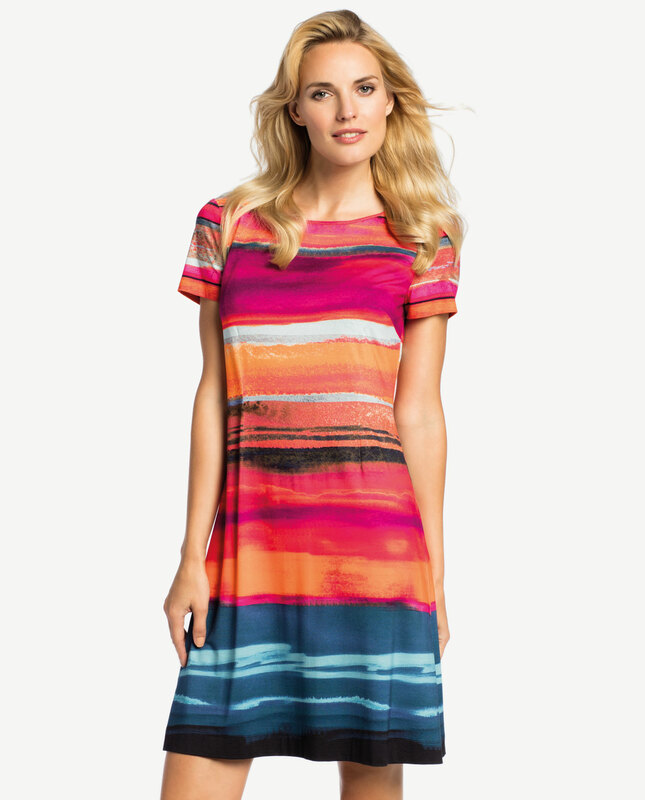 The dress looks gorgeous together with flat ballet pumps as well as sandals on a little heel. A concealed zip at the back.